Is M&S a victim of its own strengths? It's one of the most respected an beloved names in the UK - but Marks & Spencer's continuing woes are proof that maintaining a strong brand is a complex operation. It has not been a pretty year for M&S: like-for-like sales fell in both its food and clothing divisions, and each quarter saw a sharper decline than the last. To be fair, it is far from the only retail brand having a tough time at the moment. But, despite the "headwinds", chief executive Steve Rowe must be wondering when the turnaround he has been looking for since joining the business two years ago will begin. As a brand, M&S has things going for it that most competitors would kill for. In YouGov’s BrandIndex ranking of overall brand health last year, M&S was the fourth highest brand in the list, behind only John Lewis, BBC iPlayer and Sony. Last November, it was named as the UK’s most authentic brand in a global survey carried out by Cohn & Wolfe. And this week, it finished second in YouGov’s employer brand reputation rankings of the brands people would be most proud to say they worked for (though it was quite some way behind the number one, which was once again John Lewis). These enviable scores come from a long-standing reputation for quality and integrity, but disguise the reality that if anyone was to create M&S from scratch today, it would look quite different to the business that exists. "After more than 130 years on the UK high street, M&S is undoubtedly looked upon with a lot of affection by consumers – customers and non-customers alike," Ivan Mazour, chief executive of customer marketing platform Ometria, said. "The brand has often played on that legacy to foster an emotional connection with its customers in its marketing campaigns. Yet there’s an argument to be made that M&S’ focus on the past has stopped it looking to the future." While it is not the only UK brand to sell both food and clothing – Asda, Tesco and Sainsbury’s are all big players in both – M&S faces a specific brand conundrum as a result of its history. Though it has sold food since the 1930s, that part of the business has taken on a life, and identity, of its own since the start of the "This is not just food" campaign, by Rainey Kelly Campbell Roalfe/Y&R (now Y&R London), in 2004. Recently it is the food division that has delivered almost all of the brand’s growth, with clothing suffering a sales decline in all but two quarters in the last seven years. So, after food sales went into like-for-like decline last year as well, it was no wonder Rowe decided to separate the company into two business units with separate P&Ls. The challenges faced by each are just too different to be solved by an umbrella brand strategy. The ferocious competition among food retailers – set to only become more intense if Sainsbury’s proposed merger with Asda goes through – means the kind of growth M&S Food has enjoyed before now may be hard to recapture. But the marketing job to be done is relatively straightforward. "We need to make sure our food business is more relevant to British families," Rowe said yesterday, admitting that some of its product innovation had been too "niche". M&S has thrived by bringing products to the market that offer inspiration to foodies and are unavailable elsewhere – like hybrid vegetable Biancoli. But, after several years in which the growth of Aldi and Lidl has caused all the main supermarkets to up their game in both quality and price, M&S needs to go back to basics. 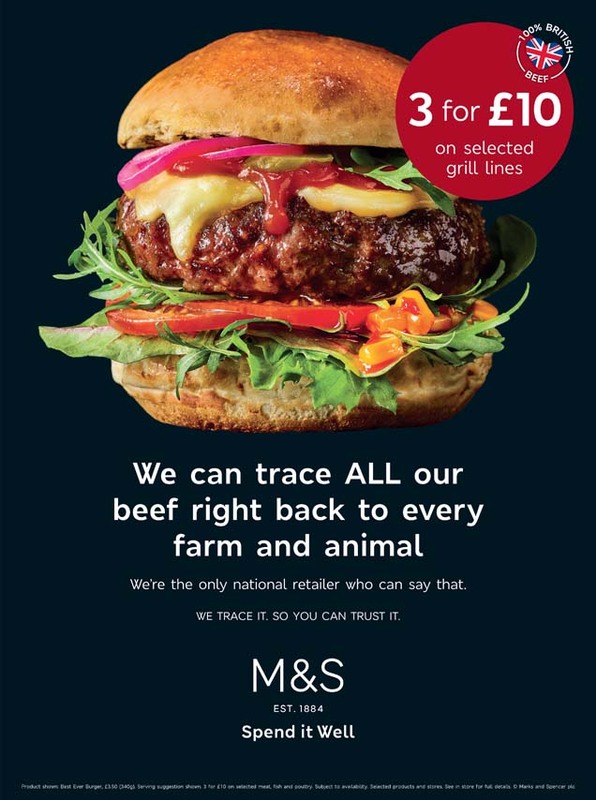 This could be why it chose to zone in on something easy to communicate – the traceability of its British beef – in a recent campaign (right). The issues facing the clothing and home business are more fundamental, and have not changed significantly from Rowe’s first set of financial results in April 2016. As the boss of one UK agency told Campaign then, they come down to this: there is no longer room in the market for the kind of brand M&S used to be. By accelerating store closures and prioritising improvements to the online shopping experience, the brand is moving in the right direction. But even if Rowe achieves his ambition of a third of sales coming online within five years, that still leaves two thirds in-store. While the aforementioned chart-topper John Lewis has been putting all its creative energy into reinventing the role of stores, M&S’s physical locations remain a long way from the kind of radically rethought experience hub suggested to Campaign by PWW’s George Wainwright in 2016. And, in terms of the brand’s positioning to consumers, there is no sign from the blunt sales data that Grey London’s "Spend it well" campaign from last year has done the job it set out to do of changing the brand’s fortunes by speaking to a consumer defined by an attitude, not an age group. Former customer director Patrick Bousquet-Chavanne has talked up the success of the Sparks loyalty scheme, introduced in 2015. But according to Mazour, it has been "deemed one of the most complicated loyalty schemes to use, leaving loyal customers unrewarded, unrecognised and likely to look elsewhere." All of this suggests that while the strength of the M&S brand is undeniable, it only tells a small part of the story. 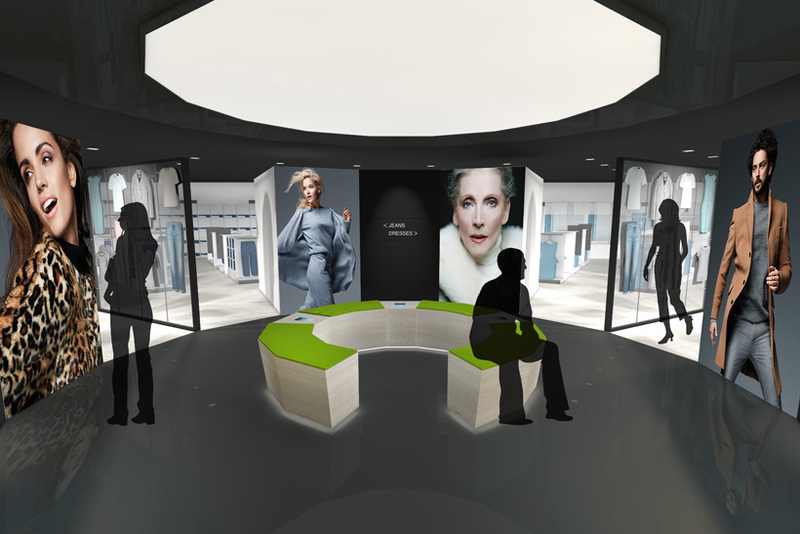 "To remain relevant to modern consumers," Mazour warned, "M&S needs to prioritise truly understanding shoppers and offering them the exceptional experiences that enabled the brand to become a high street institution in the first place." Will Asda and Sainsbury's become more than just housemates?